The once ubiquitous black and orange monarch butterfly’s population has so drastically dwindled in the past few years that it may now be nearing extinction. The U.S. Fish and Wildlife Service, responding to a petition put forth by the Center for Biological Diversity, the Center for Food Safety, the Xerces Society for Invertebrate Conservation, and Dr. Lincoln Brower, announced in late December that it has launched a status review of a subspecies of monarch (Danaus plexippus plexippus) under the Endangered Species Act (ESA). In its review, the Service will examine factors from population trends and habitat requirements to genetics and life history in order to determine whether the butterfly warrants placement on the endangered or protected lists. If added to one of the lists, the monarch will be entitled to greater protective measures under the ESA. According to the Center for Biological Diversity, the monarch population has declined by more than 90 percent in the past 20 years. “If all monarchs from the population high in the mid-1990s were grouped onto football fields, the area they cover has been reduced from 39 fields to an area barely larger than one field,” it reports. This severe population reduction is believed to stem from climate change, habitat loss (milkweed, the monarch caterpillar’s sole food source, has become scarce), and pesticide use. 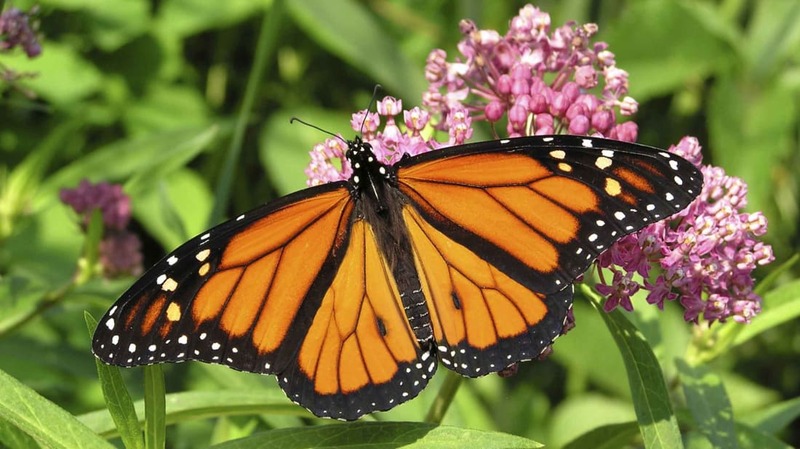 During their yearly migration between Canada, the U.S., and Mexico, monarch butterflies fly over 3,000 miles—many of them located in the U.S.’s midwestern “Corn Belt,” an area known for widespread pesticide use. During its status review, the U.S. Fish and Wildlife Service will gather data through a 60-day public information period (ending March 2). Soon after, it will make its determination—if a status review is conducted (which, in this case, it is), the FWS is required to determine whether the species will be added to the endangered or protected list within one year of receiving the initial petition.